Hi everyone, it's Michelle from Mrs. Brosseau's Binder. I've got a fun freebie for you before Halloween creeps up on us. 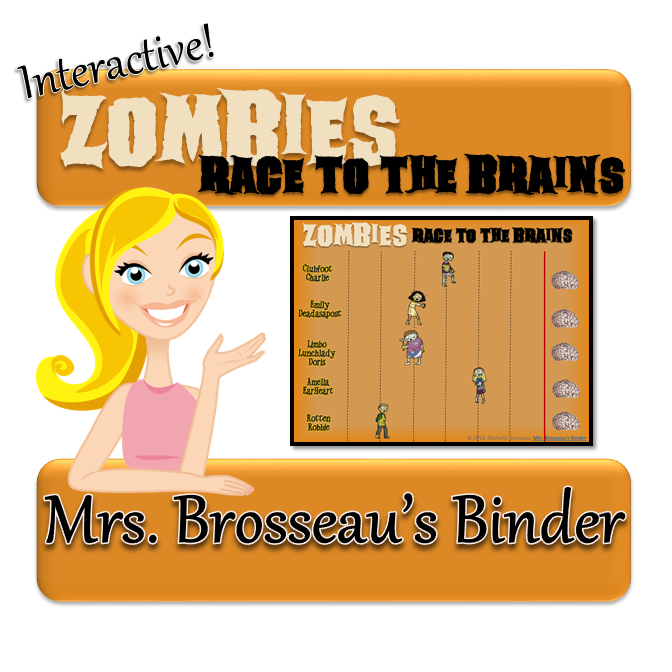 It's called Zombies: Race to the Brains. Just come up with some review questions for any subject you're working on and split your class up into up to five groups. The students can pick their avatar from Clubfoot Charlie, Emily Deadasapost, Limbo Lunchlady Doris, Amelia Earheart and Rotten Robbie. 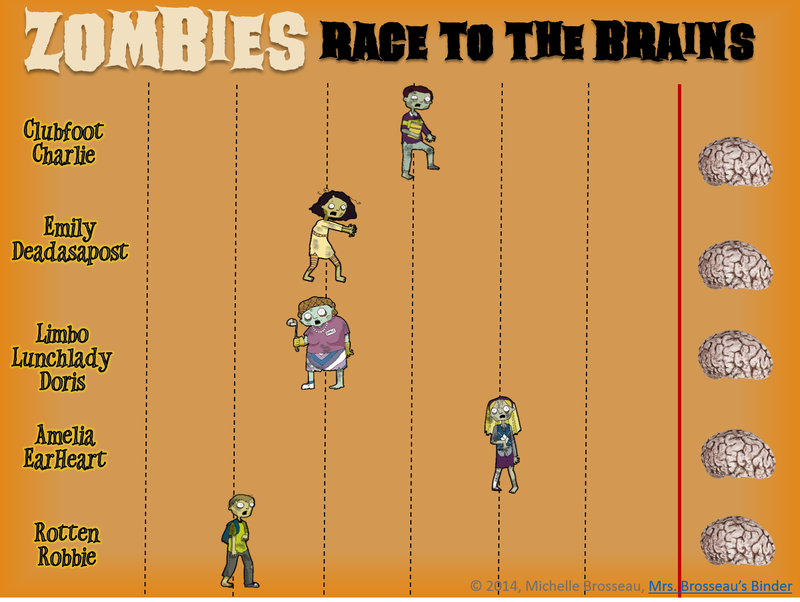 If the students get the answer correct, just click on their zombie and it will moan and groan as it shuffles towards the finish line. But be warned: this game isn't for the little ones with its spooky sounds. I would say Grade 3 -12 can have some fun with this, but any younger and you might have to call home for some new pants!